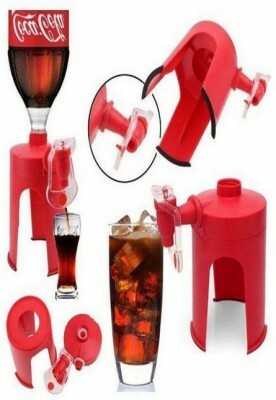 This small and handy gizmo converts your fizzy drink bottle into a dispenser-like pourer. 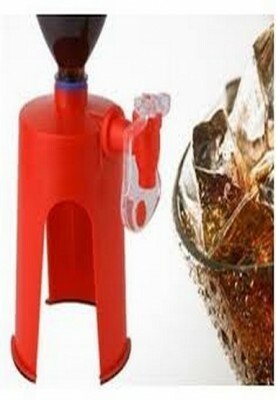 Just twist the dispenser onto the top of the large plastic bottle, flip the bottle upside down and start dispensing the drinks! 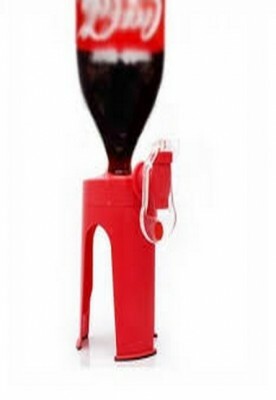 This keeps your carbonated drink fizzy by eliminating the need to open up the cap repetitively and also takes away the hassle of pouring the drinks!